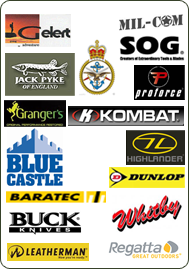 Anchor Supplies sell genuine surplus clothing and equipment from British and foreign forces and Governments. Often it has been used in combat situations and will show signs of wear and tear. We use a grading system to help you when choosing your purchase. Unless specifically agreed, we are unable to offer any warranty on surplus goods, whether expressed or implied. All surplus, in particular electrical or mechanical equipment, is sold strictly "as seen", and we strongly recommend that you inspect any equipment before you buy. We do, however, recognise and understand your rights as a valued customer and if you receive something from us that is not as described, please contact us and we will endeavour to reach a satisfactory conclusion with you. Super Grade - Previously issued but still in very good condition, perhaps a bit of storage dust or desert sand. Some may have small repairs. A Grade - Previously issued, but still in good condition. May have some repairs. B Grade - Previously issued and looking a bit tired, will have repairs or may even have a little hole. Perfect if you want to bag a bargain! Please note In the case of tents our grades apply to the canvas only. Any frames, poles, pegs, ropes, bags etc. will have been used but are in a perfectly serviceable condition. Unless otherwise stated all tents are ex British Army and are manufactured to the high standards demanded by the MOD. We check, grade and repair them (where necessary) ourselves. However, we cannot guarantee used tentage to be 100% waterproof. It is also important to understand that canvas is manufactured using natural fibres and sometimes small 'pin pricks' will be evident. These are a normal occurrence and do not effect the waterproof qualities of the tent. 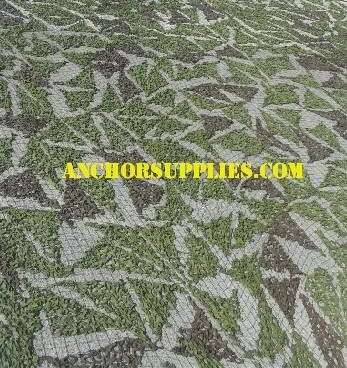 For identification purposes and to distinguish from cheap imitations all Genuine Military Tents supplied by Anchor are stencilled with "anchorsupplies.com". If you prefer to receive tents without our marking please advise at the point of ordering. We will email you around a week after your order to ask for your feedback on the product/s you ordered, your feedback will help others decide if this is the right product for them. Please note this policy only applies to items bought online/mail order. The policy for items purchased 'face to face' in our retail shop is displayed at the point of sale in-store. We accept returns in line with UK distance selling regulations. Please notify us within 14 days of receiving the goods that it is your intention to return them. They must be returned unused and in the condition in which they left us. The puchase and outward carriage price will be refunded. The cost of return carriage must be met in full by the purchaser. This does not affect your statutory rights in the event of faulty goods. If you are local you may take your delivery note to our Ripley or Nottingham depot with the product you wish to return/exchange and advise the shop assistant that you have purchased the product online. If you require an exchange - our friendly shop assistant will be able to help in finding you a replacement. If you require a refund - If the item you wish to return is no longer required then the shop assistant will be able to arrange for a refund to be made to your credit or debit card that was originally used for the purchase. Package the item in the best possible way you can and include the delivery note with the package. Address the package to the address below and take it to your local post office and tell the assistant you would like to send the item using 'Recorded Delivery'. Once your item is received, in the case of an exchange; you will be contacted by a member of our customer services team to confirm your new order details, in the case of a return the purchase and outward carriage price will be refunded by the method in which you paid. PLEASE NOTE: In the case of an exchange, you may be required to pay a second delivery charge for your new order. This of course is wavered if the item you received is not what you originally ordered. Please be sure to state whether or not your return is in fact a return or an exchange. If the item you are returning is faulty, the cost of the item plus return postage costs will be credited to the card originally used for purchase. 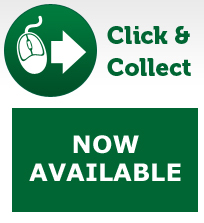 For larger items, please call our customer services team on + 44 (0)1773 570137 to arrange a collection. 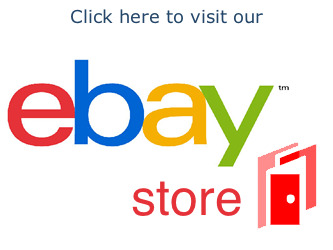 Please be aware that the items on our website are not always available in our stores and vice versa. If you can't find what you're looking for please contact us, if we haven't got it we can probably source it! If you require large quantities of an item please contact us, as we hold large stocks on most products!